ViperOne, is the first Custom ROM with Android 4.4 to have been released. 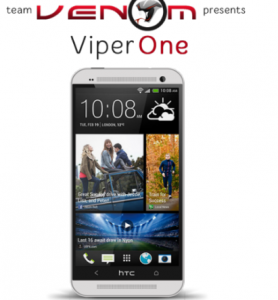 This article will guide you on how to install Custom ROM “ViperOne” Android 4.4 on HTC One. Given our experience with Team Venom, we are already aware of the fact that they cook one of the best ROMs for HTC phones. And the best thing about their roms are the variety of tweaks and mods present in them. This is not to say that some users do not have issues with their ROMs, some do, specifically in regards with battery times. 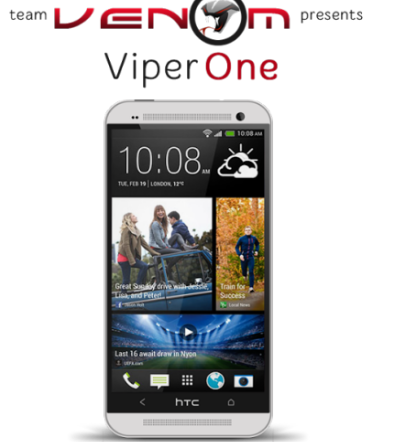 Here is how you can install the ViperOne Custom ROM Android 4.4 KitKat on your HTC One. Disclaimer: This guide will be using ‘Odin’ as a tool to flash the official firmware on your HTC One. During the process, you might lose all your existing installed apps and personal settings. It is therefore necessary for you to follow the guide carefully. Also, please, do mind that this tutorial is only for HTC One. Don’t try this guide in any other Android device. Ensure that your HTC One carries more than 70% of charge. Official Android 4.4 KitKat Begins Rolling Out Today for Multiple Devices in U.S. – List!